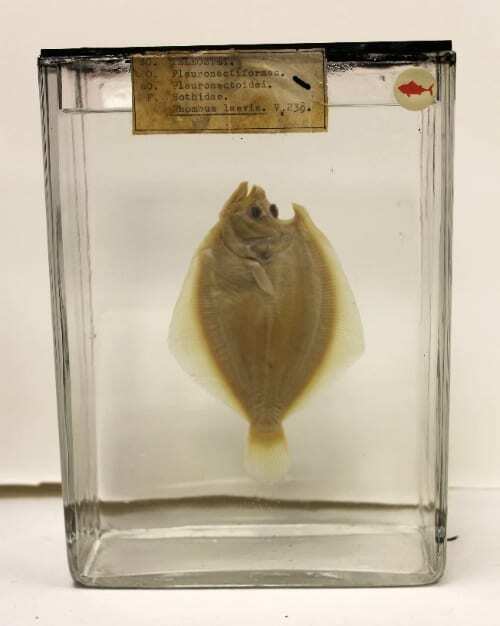 Hello and welcome to the next instalment of Specimen of the Week. 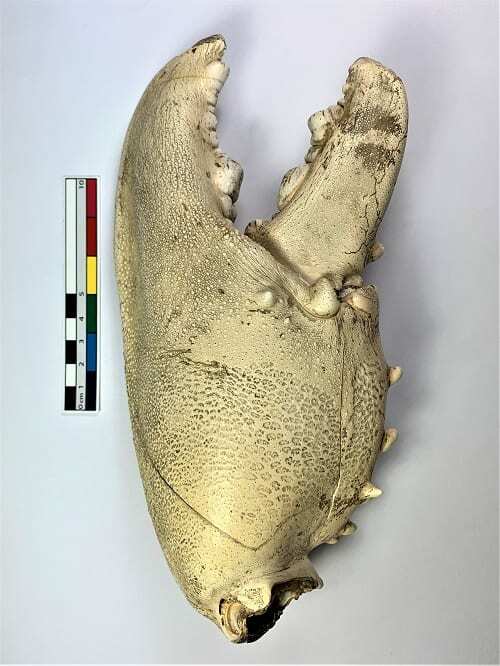 This week’s specimen is a mighty claw (LDUCZ-H671) from the lobster species Homarus gammarus, also known as the European or common lobster. Lobsters are great, whether you like them to be freely going about their lives at the bottom of the sea or perhaps prepared by a chef on a dish with some butter. Either way, I am fairly certain there are aspects of their lives you are unaware of and this blog will hopefully either make you hungry for more knowledge or perhaps just dinner. The Grant Museum is delighted to announce the opening of Agonism/Antagonism, a new exhibition exploring evolution and genetics through the stunning artworks of multidisciplinary artist Neus Torres Tamarit and computer scientist Ben Murray – the art and science duo known as Phenotypica. 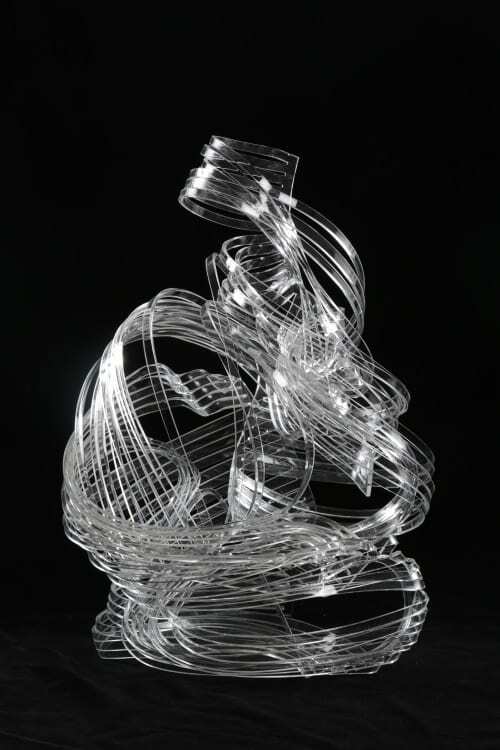 Acrylic Sculpture. © Neus Torres Tamarit. 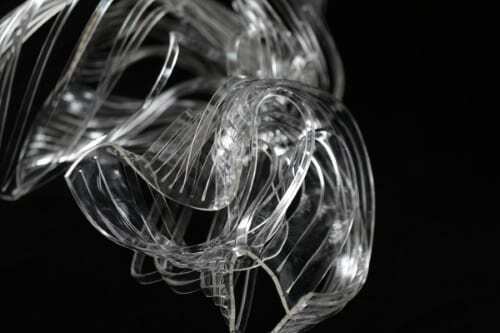 The exhibition is the result of Neus’ residency with the Max Reuter laboratory at UCL Department of Genetics, Evolution & Environment, where she has been immersed in the research, techniques and tools used to study the genetic evolution of the fruit fly Drosophila melanogaster. Dr. Max Reuter and his team use fruit flies to conduct research into the evolution of sexual dimorphism. In sexually reproducing species, the genetic needs of the two genders are often in direct conflict; a phenomenon known as sexual antagonism. The tension between the genders is eventually broken by mutations that decouple the traits in males and females, resulting in new differences (dimorphisms) between them. Reflecting the aesthetic environment of the laboratory and exploring the uneasy alliance that exists between males and females of a species, Agonism/Antagonism is the intersection between art, science and technology. Artworks include bioplastic sculptures which float among the skeletons, digital art and projections, animated explorations of genetic antagonism in virtual reality and CT scans of fruit flies. ‘Gender A – Gender B’. Neus Torres Tamarit. 2018. Neus and Ben are interested in how artworks about genetics interact with the subject and with the audience, and how accurately such artworks present their scientific concepts. The aim of their work is to remove the boundaries that often separate science from the rest of human activity and reveal the creativity and beauty in scientific research and discovery. Agonism/Antagonism runs until 22nd December 2018. Full details on the exhibition’s website. The Grant Museum of Zoology is open from 1–5pm Monday to Saturday. Admission is free and there is no need to book. Happy Friday, Grant aficionados! Welcome back to the high-point of the week, where Saturday is almost within reach and we get to share a gem from the collection for your delectation. 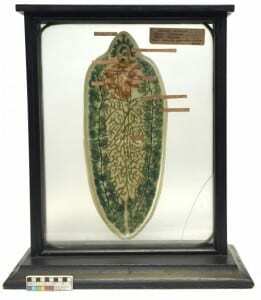 Since its inception in 1828, the Grant Museum of Zoology collections have always been used for teaching. This continues in the present day and the Museum welcomes students from across UCL for a wide variety of specimen-based practicals, course work and research projects. 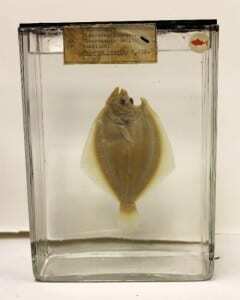 Today we maintain detailed lists of specimens which are used in classes but I’ve often wondered what the early object-based teaching practicals looked like and which specimens were used. 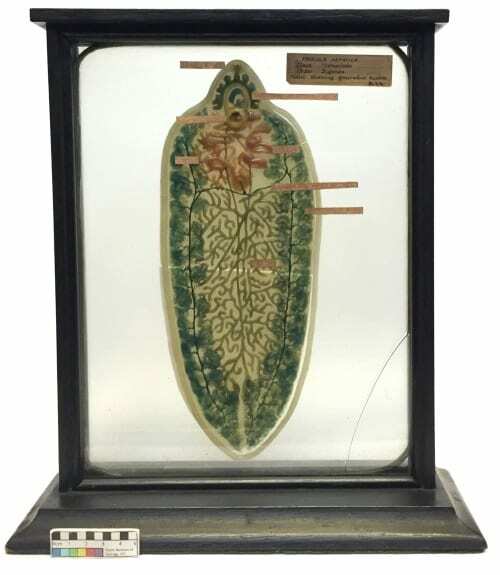 Fortunately, the Museum has some relevant archives which have identified an extraordinary specimen that had been used in teaching at UCL 130 years ago. It is not only one of the oldest specimens in the collection, but also one of the most beautiful. The Grant Museum is a haven for the unexpected. 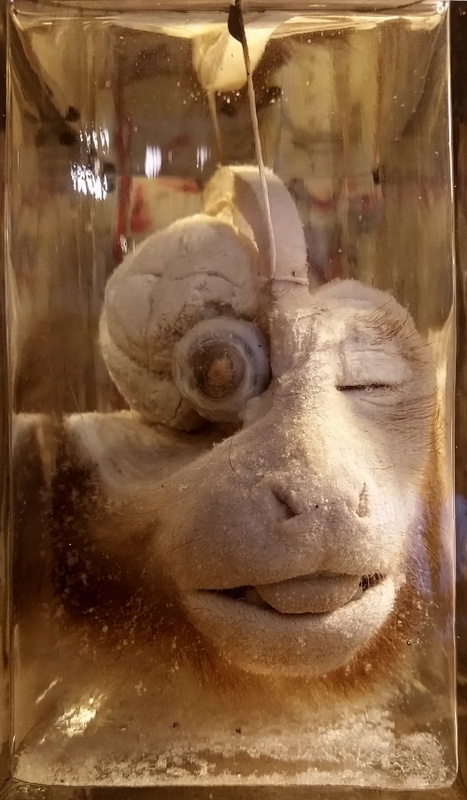 As is often the case with the collection (at least, for me anyway), just when you’re expecting to see an animal that you feel fairly au fait with… the museum presents you with specimens that are: dissected, bisected, exploded, stained, crammed with others in a jar or injected with alizarin. 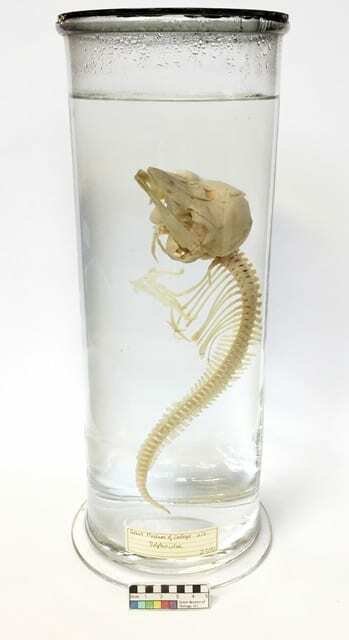 So as a case in point, here is the rinsed skeleton of a dolphin foetus. Try to imagine life 310 million years ago. It is the Carboniferous period – a time when the Earth experienced its highest levels of atmospheric oxygen leading to the growth of vast forests which would eventually be laid down and become the coal beds characteristic of this period. 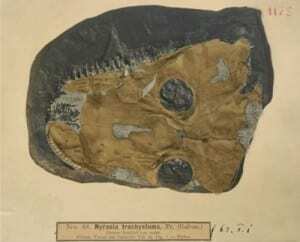 Primitive amphibians were the dominant terrestrial vertebrates including the Temnospondyls which were mostly semi-aquatic and typically larger than most modern amphibians. Superificially, most resembled crocodiles with broad, flat heads and had scales, claws and bony body plates. 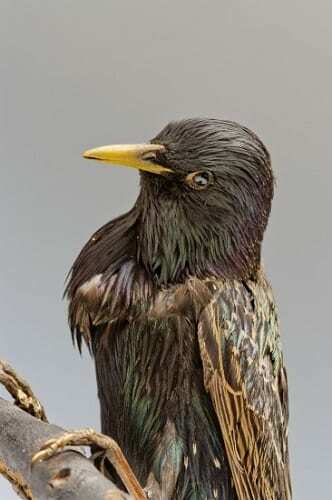 You may recognise this week’s sociable and rowdy Specimen of the Week: the Common Starling (Sturnus vulgaris). Starlings are familiar to many Brits, and SOTW blog readers from Europe, Asia, Africa and even those in northern Australia may also recognise this tenacious bird. Despite declining numbers in recent years they remain one of the UK’s most common garden birds. Starlings are especially profuse in southern England, often being sighted in towns and city centres as well as more rural areas. A Common Starling – Sturnus vulgaris LDUCZ-Y1547. 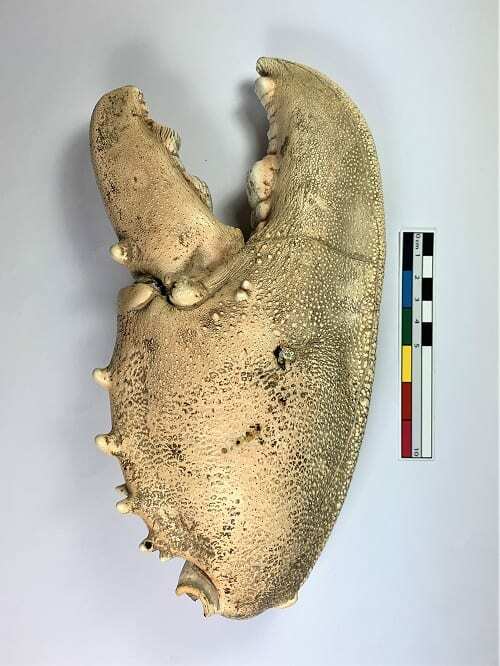 … The star of the show or in this case the Specimen of the Week Blog. Part of the work that we do as conservators for UCL’s Museums and Collections is to maintain the condition of the various collections. 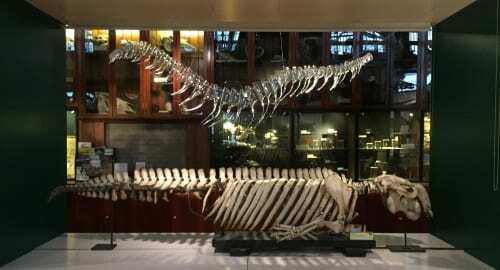 The Grant Museum of Zoology and Comparative Anatomy has approximately 300 fluid preserved specimens on display in the museum and 3500 fluid specimens in the stores.